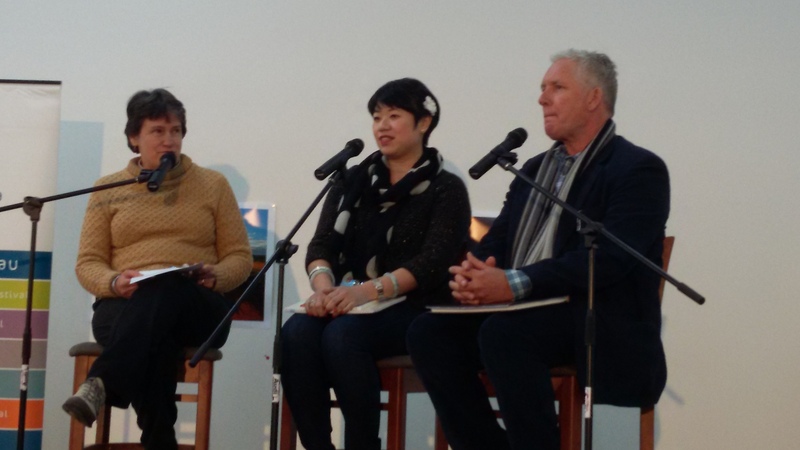 And so the second session I attended at the Mildura Writers Festival was an insight into the work of Eileen Chong and Anthony Lawrence facilitated by Judith Beveridge. I must confess I had never read either of their poems before and so was very keen to be introduced to them. Judith began by asking them how they write. Eileen explained how she allows a poem to ferment and doesn’t normally write until it is almost fully formed. She went onto confess she is a compulsive reader, books, packets, labels, really anything with words, and that she casts around for ideas to find a voice or mood to fit the subject matter. Anthony said his poems begin with an emotion, giving the example of driving from work one day when two gulls angled away from his fender and he knew at that point a poem was on its way. He also explained that he read a lot of lyrical poets, citing Leonard Cohen as one of his favourites (mine too!). Both read poems about their grandmothers – Eileen about her paternal grandmother in ‘My Hakka Grandmother’ from her debut collection Burning Rice and Anthony read ‘Need’ from his forthcoming collection Wax Cathedral. When asked by Judith about the actual process of writing, Eileen said she usually goes straight to the keyboard, whereas Anthony has a passion for paper and fountain pens, making meticulous changes by hand, although did confess that for his new collection he went straight to a Word document for the first time. Judith also explored if either have any particular rituals when writing, to which Eileen replied she has to have a clean house before starting and is not able to write if she’s anxious about something. Anthony said he can write anywhere without need for a formal structure and read a poem called ‘Murmuration’ about the movement of starlings. Eileen also read a poem from her forthcoming collection Painting Red Orchids to be published by Pitt Street Poetry who also published her first. 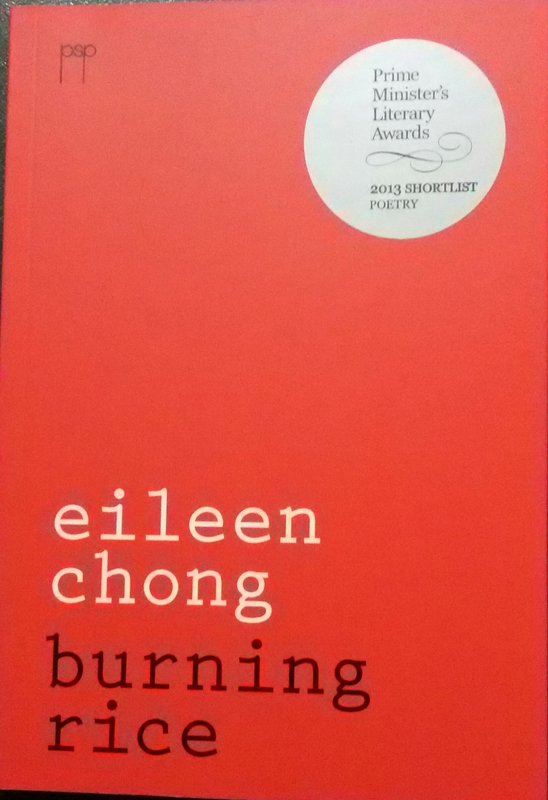 After hearing Eileen read her work it resonated with me, so I purchased a copy of Burning Rice and asked her to sign it, which she happily did. Having read it from cover to cover there are so many delicious images weaved within, and I particularly like her style of writing, succinct and yet so much depth is shared. And so my first experience of this particular festival ended with a quick review over wine with two very good poet friends – Jennifer Liston and Louise Nicholas – who opted for the early bird package, something I plan to do next year. Places, pictures, food, impressions, thoughts.